For more than a decade, Hamilton CapTel has been supporting Hearing Healthcare Professionals with proven, life-changing solutions for patients who just can’t hear on the phone. However, it’s not just about using the phone again with confidence – it’s about reconnecting your patients with family, friends and you! Through the Hamilton CapTel Hearing Healthcare Program, you can provide patients with a Hamilton CapTel Phone at no cost! The certification process has never been easier. We’re not just solving the challenges of hearing on the phone – we’re making a real difference for you and your patients! This is the one program specifically designed to reconnect your patients with the people they care about most. 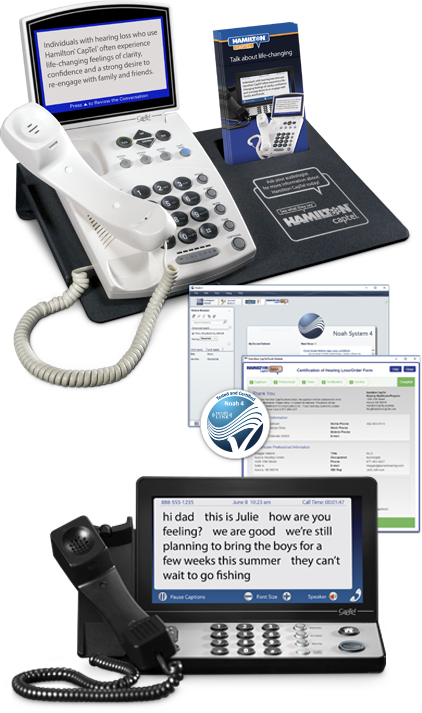 The Hamilton CapTel phone and captioned telephone service are available nationwide, 24-7 at no cost for your patients. Complimentary in-office demo phones and educational materials are available when you join the Hearing Healthcare Program. More than a single phone option, Hamilton CapTel offers a suite of solutions to match the diverse lifestyles of your patients. Now you can complete the Certificate of Hearing Loss/Order Form securely online, directly from your HIMSA Noah®2 patient management software or with a printed form. 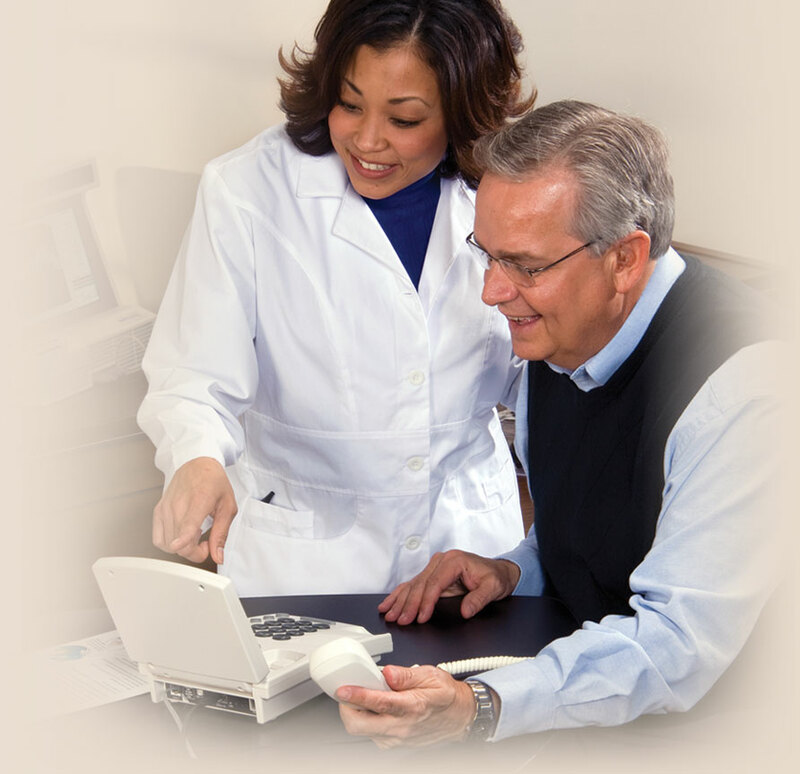 The Hamilton CapTel phone ships direct to your patients. Nationwide phone installation support is available. The Hamilton CapTel National Program Team is dedicated to serving you and your patients. As a hearing healthcare professional, developing a personal and enduring relationship with your patients is critical. It’s about care, compassion and trust. Recommending a no-cost Hamilton CapTel phone to your patients who have difficulty hearing on the phone builds trust, reinforces your dedication to individual patient care and reconnects your patients with family and friends. When you provide a real, no-cost1 solution for your patients – they’re inclined to remain engaged with you for a lifetime. This is just one of the loyalty-building benefits of joining the Hamilton CapTel Hearing Healthcare Program. Whether it’s a specific time, date or tall tale – getting all the details ensures clear communication. 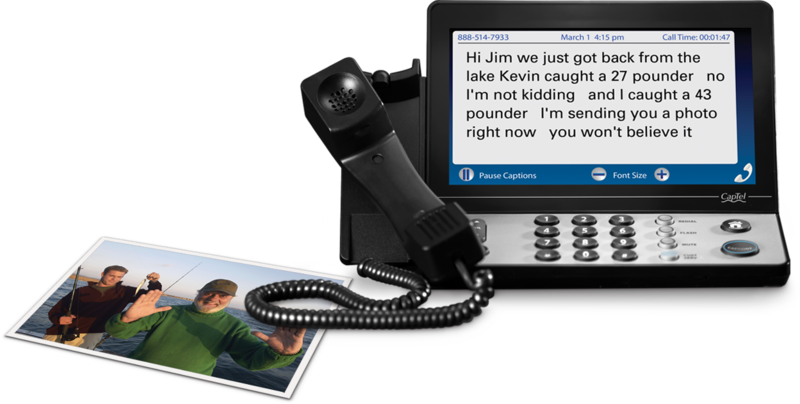 With a Hamilton CapTel phone, your patients won’t struggle to piece together the details – it’s a simple matter of reading the captions on the large, bright screen. Already a member of the Hamilton CapTel Hearing Healthcare Program? Think you don’t have enough time to complete the Certificate of Hearing Loss/Order Form? Think again. We’ve streamlined the options for you. Complimentary in-office demo phones and educational materials are available, so you can show your patients the benefits of Hamilton CapTel. If you’re just getting started with your in-office Hamilton CapTel demo phone, the Quick Start Guide can assist in making the setup process simple and easy. Do you have veterans as patients? Hamilton CapTel has a special program just for veterans! Veterans with hearing loss often face unique challenges and service-related comorbidities. That’s why we created the Heroes With Hearing Loss® program specifically for those men and women who have served our country. Find out how you can provide your veteran patients with viable, real-world solutions geared specifically toward them. Are you a hearing healthcare patient looking for a no-cost1 solution? We understand that even with the most advanced hearing aids, hearing on the phone can be challenging – to the point of frustration. That's why hearing healthcare professionals across the country are recommending Hamilton CapTel to their patients.